This explosive and scientific slot game combines element fuelled mayhem with fast-paced, high-quality story-telling. Conduct experimentations using earth, wind, and fire to boost your way to scatter bonuses and scientific fame in this experimental 5 reel slot concoction. Check out these slot games today! 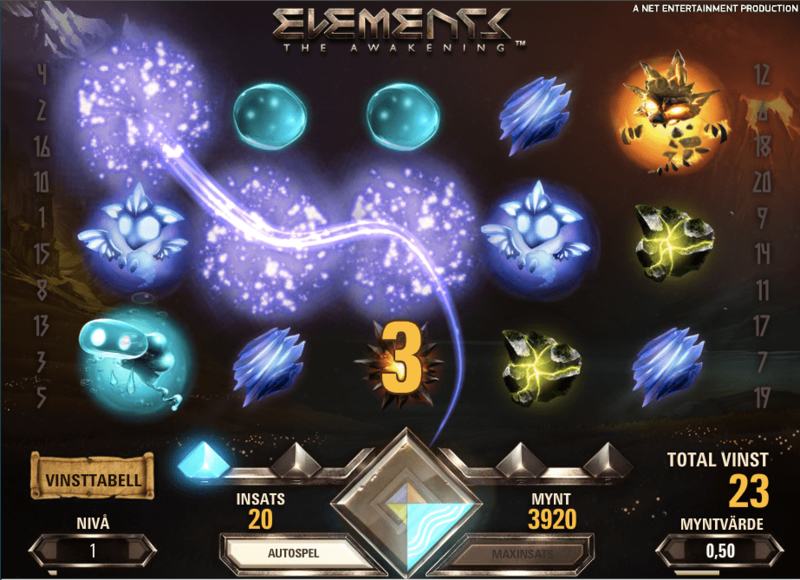 Elements has been developed by NetEnt, one of the world’s leading game developers to create a space-age online slot game with a highly modern and cool graphics that really gives you an encapsulating experience. You can find online slot games here. 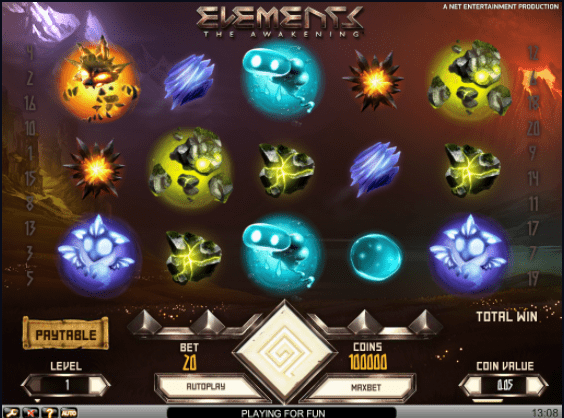 Elements is an intense asteroid themed online slot game featuring 5 reels, 4 rows, and 20 fixed paylines. Compare to other top-rated UK slots, this is your standard online slot gaming affair. You can enjoy an RTP of 96% whilst playing this game, which is a fairly good ration to rely on when you’re expecting some big wins. In addition, you won’t find any effortless numbers or letter symbols on this game board. NetEnt have really pushed the boat out to design a visually stunning 5 reel which is the least you can expect from a developer with such a keen eye for innovation and nourishing online slots. You can choose to plays bets at a price of anywhere between 20 pence and £100, but nevertheless, Elements still harnesses that space-age power to help you get some of the biggest wins you will experience this side of the solar system. It’s extremely easy to be drawn into this game because of its emotive features so make sure you stick to your limits and don’t get sucked into the abyss of outer space. Aesthetically, elements can’t be topped. Enjoy the thrilling opening video animation that creates the atmosphere for the space journey that you’re about to embark upon. Lose yourself in the unearthly colours and the alien-like fluorescent symbols that bring the game to life. Each reel consists of many different alien creatures which look like half-robot, half asteroid things. It’s easier to see these with your own eyes once you’ve deposited and spun the reels a few times. 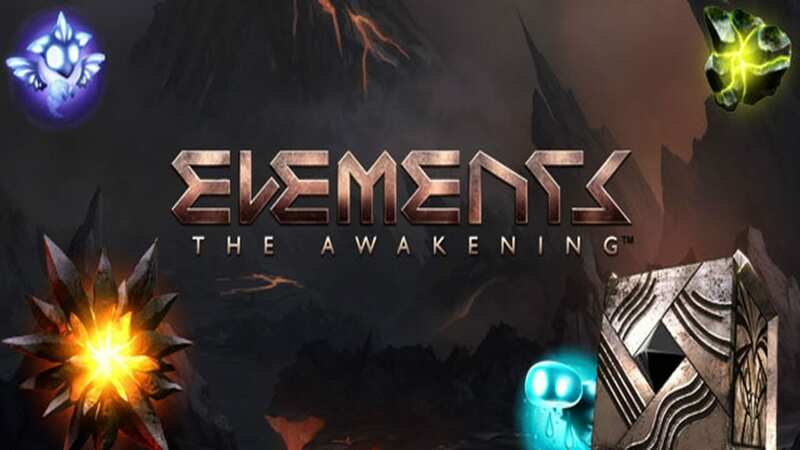 Experience the bonus features of this game which is the glowing metallic cube so it’s important to keep your eyes peeled and your head in check. 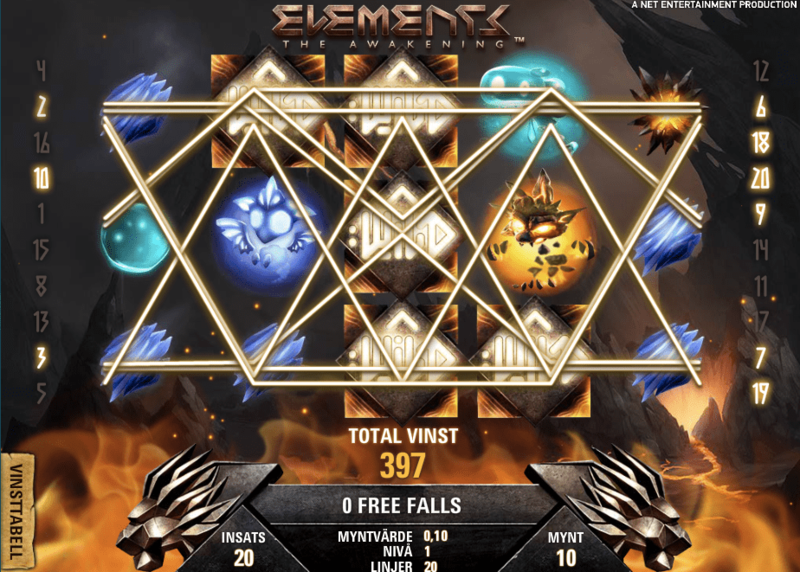 The main bonus feature is the free fall bonus game which comprises of numerous mini-games that incorporate the elements of the earth; air, fire, earth and water. Trigger these games by matching the elements and swapping them for a simply astonishing range of free spins and enormous multipliers.